This is an amazingly easy pizza recipe that’s light and delicious. This is a white pizza, meaning that there is no tomato sauce, only cheese and toppings. The caramelized onions add sweetness and the peppadew peppers add a hit of acidity which cuts through the richness of the cheese. A few chives tossed on at the end gives the pizza a light freshness. I fermented the dough for this recipe – it’s easier than it sounds, and it greatly increases the lightness and quality of the final crust. It takes a few days, but most of that is just sitting in the fridge. This is a great dough to make on a Sunday then easily toss together your pizza on, say, Wednesday. If you don’t want to go through the hassle of fermenting, simply let the dough rest for 30 minutes after step 5, then roll it out and top it as you normally would. 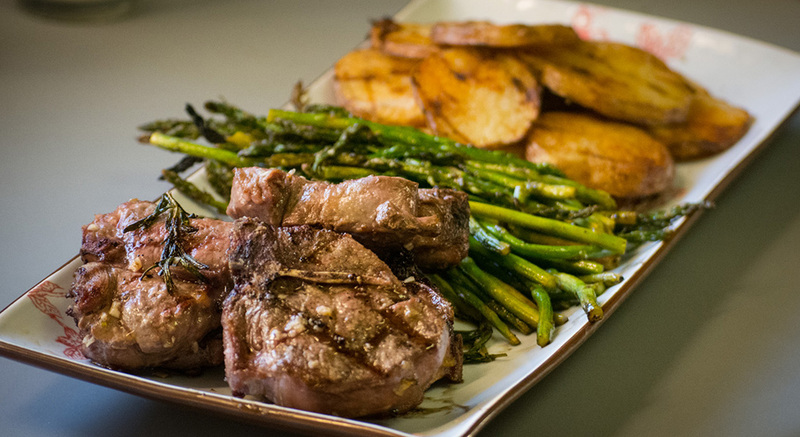 Lamb is one our favorite meats, and it features heavily in both Mediterranean and certain Asian cuisines. It’s also less impactful on the environment than beef. When cooked properly, it’s tender, juicy, moist and delicious. However, overcooking it can result in a dry, and almost gamey tasting piece of meat. This lamb dish is one our go-to dishes every the summer since its an easy and delicious weeknight meal. It has just a handful of simple, fresh ingredients that let the lamb shine. Mashing the garlic into a paste reduces the likelihood of it burning on the grill. Letting the rosemary char directly on the meat gives it an deep smoky and herbal flavor. Grilled fish is one of the great pleasures of having warmer weather. This is a simple and fast dish that is packed full of amazing flavor. The sauce is inspired by a Salmoriglio sauce – which is a tangy, herby, lemony sauce of which there are countless variations. But this variation is incredibly simple, and the marinade doubles as the sauce. You cant get much more simple than this – and the simplicity allows the delicate flavor of the fish to shine. 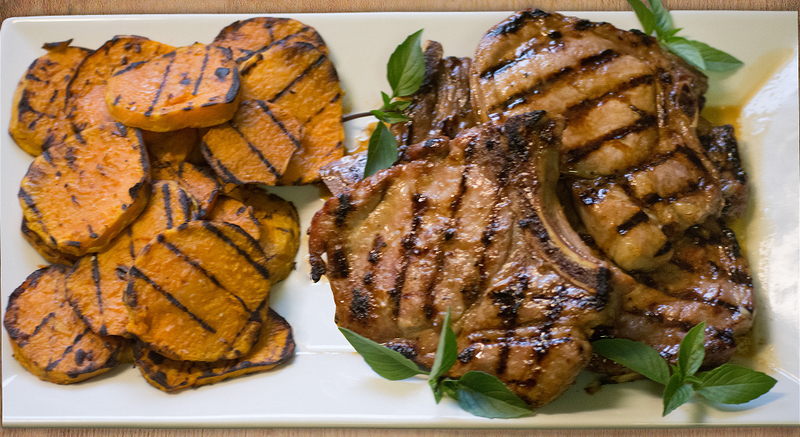 This is a simple and easy pork chop recipe that delivers a ton of flavor. 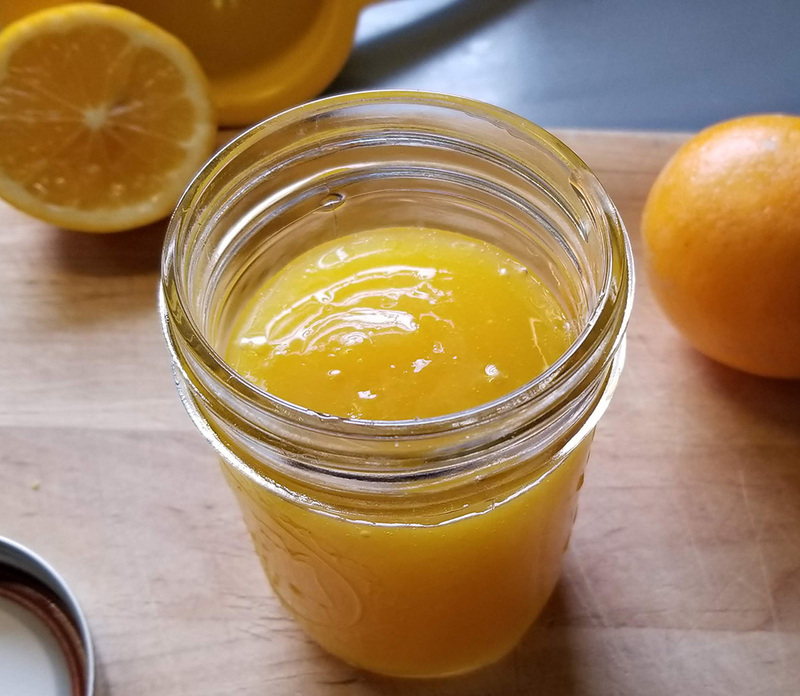 The fish sauce, brown sugar, and lime juice combination drive home the flavors of southeast Asia and produce an amazing blend of sweet, sour, and umami flavors. The liquid from the shallot tenderizes the meat as well, so don’t over-marinate it! 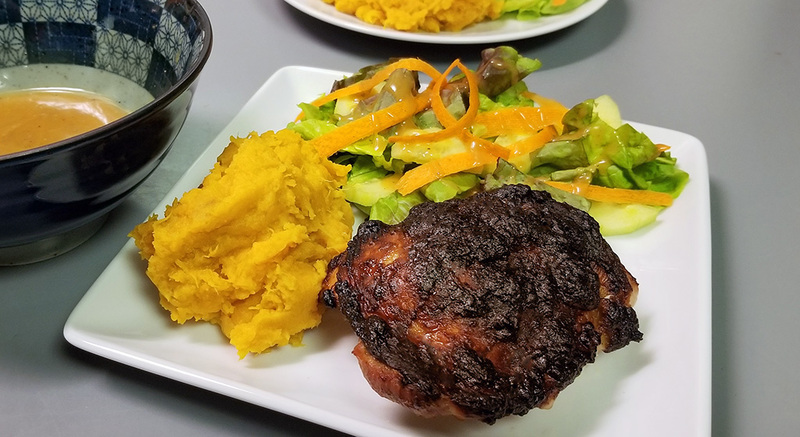 We typically serve this with grilled sweet potatoes and a light salad with an peanut vinaigrette. It doesn’t get much easier than this. 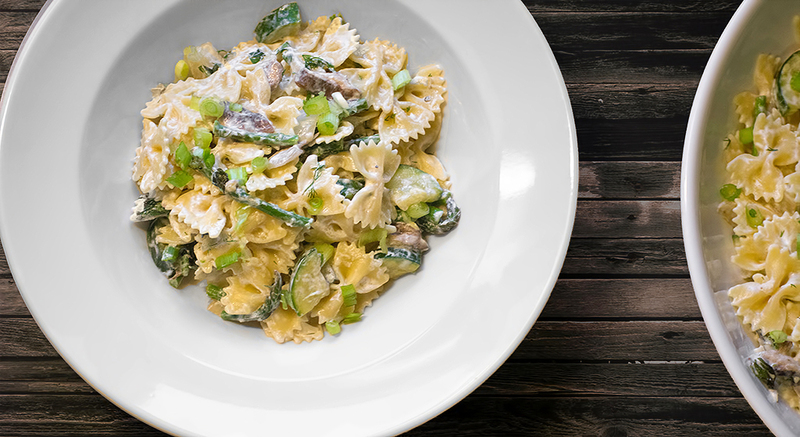 This versatile recipe is as simple as lightly sauteing spring vegetables, and tossing them in cooked pasta with fresh herbs and Greek yogurt. This can be made any time with whatever vegetables and herbs are currently in season. We used spring Vidalia onions, asparagus, zucchini, and mushrooms, but any fresh vegetable would work great! This dish is amazing warm, at room temperature, or cold the next day. This is another and easy and delicious weeknight meal! 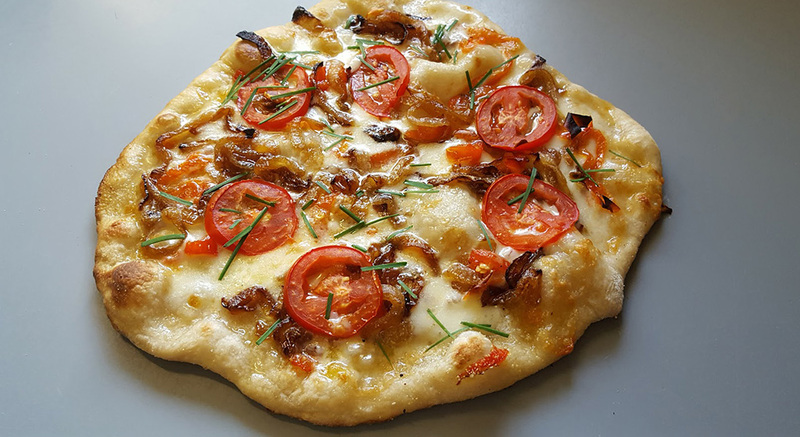 This can be made faster and more easily by purchasing pizza dough from the grocery store. 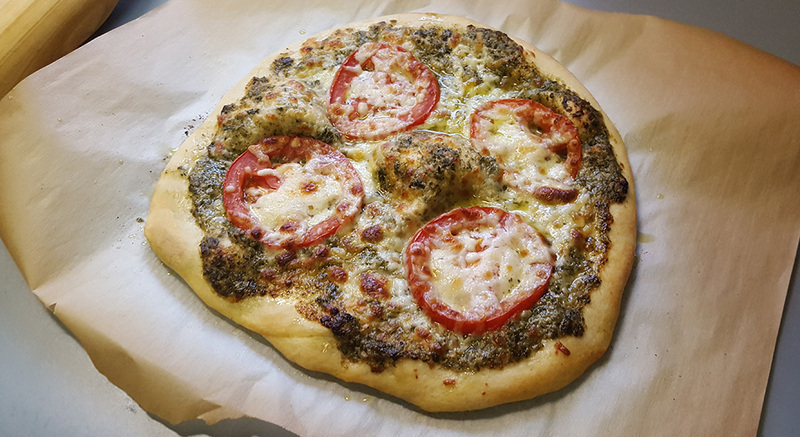 I prefer to make my own, but store bought dough is actually pretty good and easy to find. You can also make your own pesto if you are so inclined – we will add a recipe for that soon. When buying pesto, make sure to get it from the refrigerated section – the jarred pesto has a bunch of preservatives that affect the flavor. You will get a better crust if you use a pizza stone, but it’s not necessary if you don’t have one. If you enjoy making pizzas, a stone is an invaluable tool that will take your pies to the next level. You can get a reasonably good one fairly cheap, and if you take care of it, it should last a very long time. I’m always so excited for grilling season to start because it really opens up our repertoire of recipes. 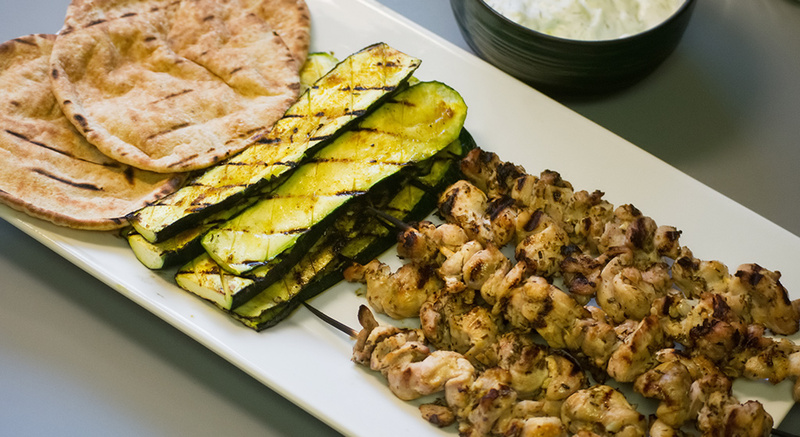 So many great Mediterranean and Asian recipes are perfect for grilling. One prime example is Souvlaki – a delicious Greek grilled chicken dish. This version is very simple – only 5 ingredients: chicken, garlic, oregano, olive oil, and lemon. Like most of our recipes, it’s fast, easy, and healthy! While my husband and I visited France last fall, and we stayed in a beautiful little port town on the Mediterranean called Port Vendre. It was walking distance to the more touristy town of Collioure. Port Vendre was wonderful and quiet, but Collioure, despite being a bit more crowded and busy, had a number of sites that we wanted to see so we planned a day around going there. But the weather was not very agreeable – it rained the whole day. However, we didn’t let that stop us. We walked around the beautiful old town, past the Château Royal de Collioure, and down the beach. 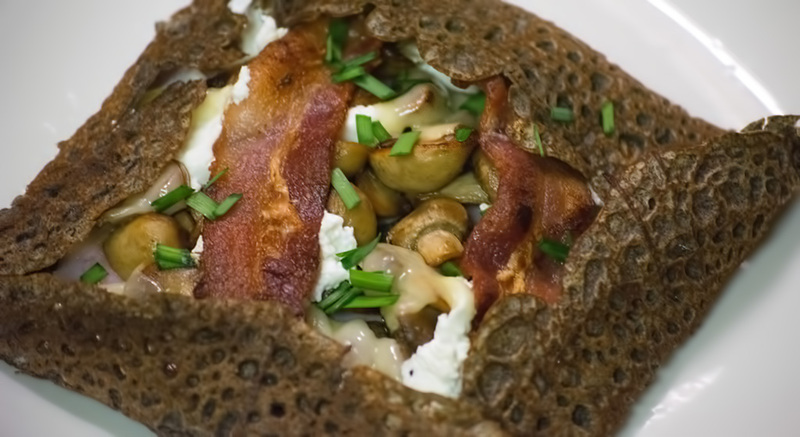 In the middle of a downpour, we stopped at a small Creperie. The only available seating was outdoors, but the tables were covered and dry. We were cold, wet, and starving, and my husband really wanted a drink. 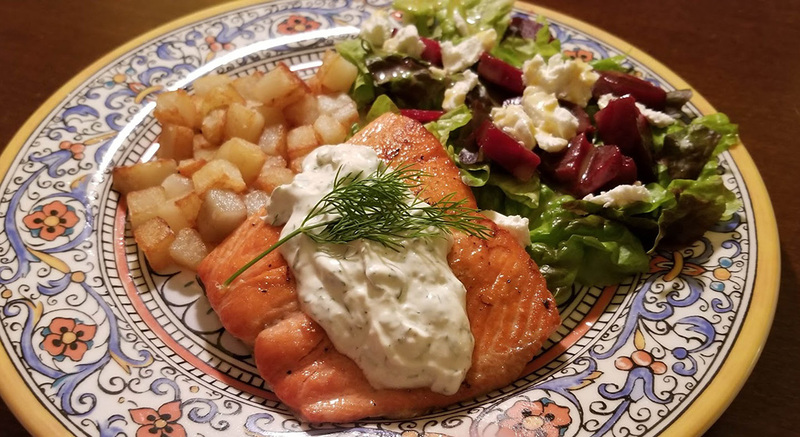 Incorporating fish into our diet has been a bit tough, especially since we live in a part of the country that’s nowhere near the ocean, and fresh fish is a bit tougher to come by. However, one of the fish that is always readily available is cod. It also happens to be one of my favorites! It’s flaky, but meaty. The taste isn’t fishy or strong, and it takes on the flavor of whatever you season it with. 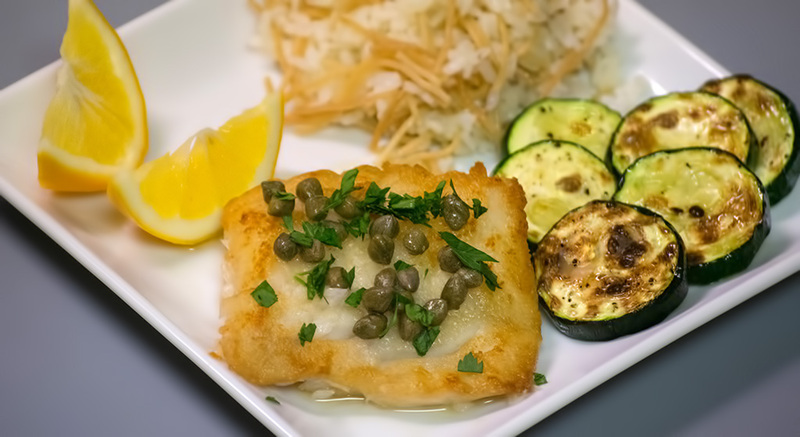 This Mediterranean style fish dish is very simple to make, and absolutely delicious! The amazing restaurant Chai Pani in Asheville, NC serves Indian street food. One of my favorite things to get is their Sloppy Jai. 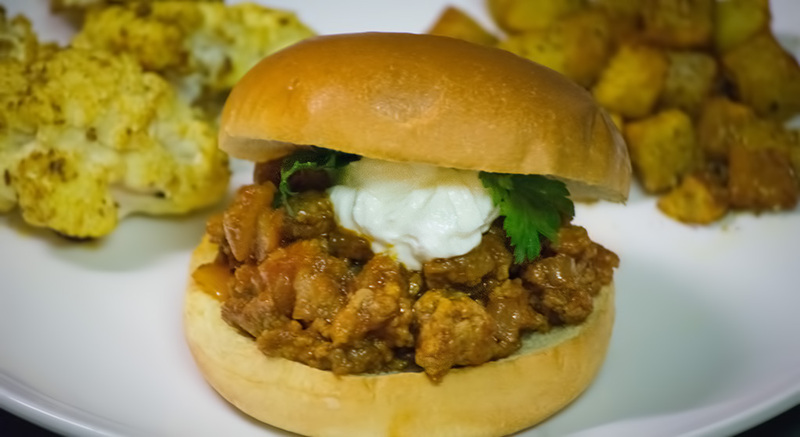 This is an Indian version of a sloppy joe – made with ground lamb and Indian spices. I tried to recreate this recipe at home! It’s not exactly the same, but we feel it is a pretty good rendition. I added pickled red onion to add a bit of tang and cut through the richness of the lamb. Adding a little cayenne pepper or replacing the curry powder with Madras curry powder will add a little heat. I serve these on brioche buns, but any buns will be fine. This recipe is also super quick – it can be made in under 30 minutes for a great weeknight meal. 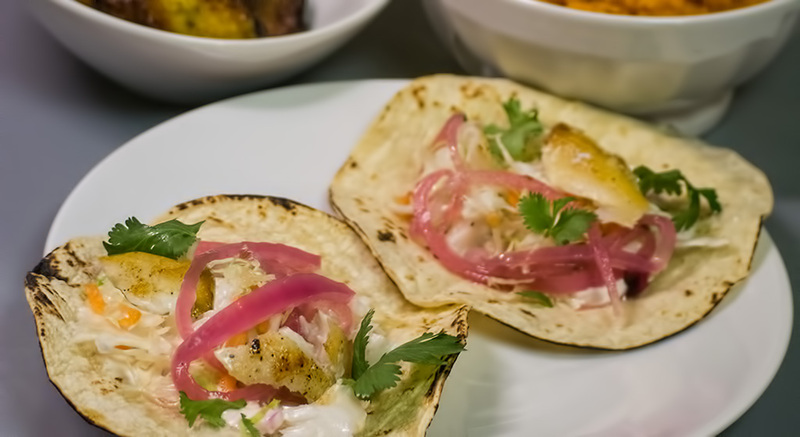 These delicious and simple fish tacos can be made in under 30 minutes! The pickled onions, slaw and sauce can be made in advance. 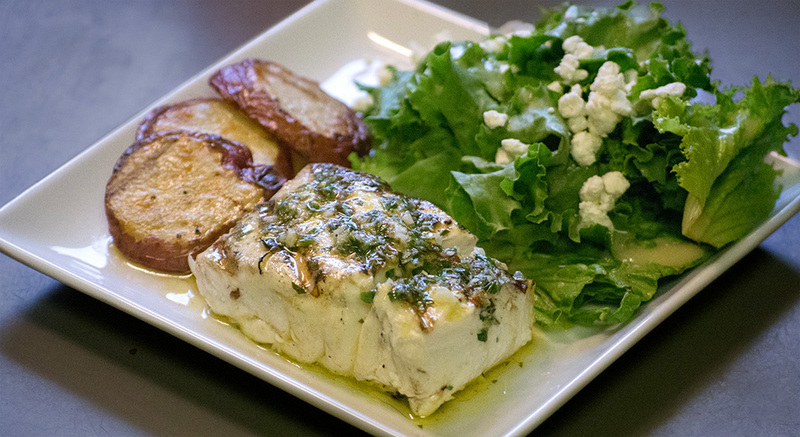 We typically use Mahi-Mahi, but cod (or any other flaky white fish) are delicious as well! This makes enough tacos for two. 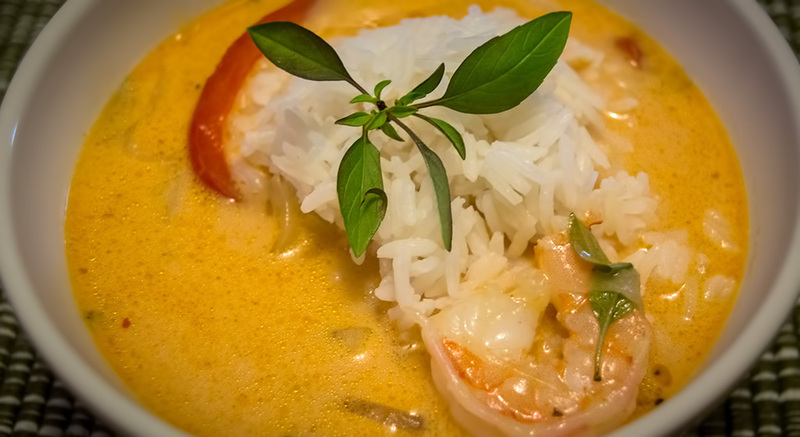 One of my favorite things to eat any time of year is my husband’s Thai Curry. 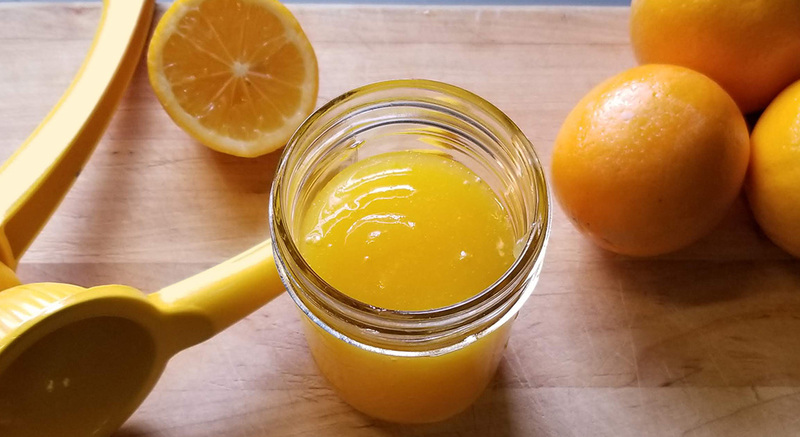 It’s rich, sweet, a little tangy – and all-around delicious. The version below is a shrimp curry, but you can put in any flaky white fish instead of the shrimp, or you can add sliced chicken instead. If you want a spicier curry, add some Thai chilies to the mix. You can also make a green version of this curry – simply replace the red curry paste with green.